Presidential Towers Renovation — Valerio Dewalt Train Associates, Inc. This 2400-unit, four-tower mixed residential and retail development was an instant landmark when it was built in the early 1980’s. By 2009, the development was showing its age; its fortress-like architecture created disconnect from what has become a thriving neighborhood of lofts, commercial office buildings and street-level shops and restaurants. When Waterton Residential purchased the complex, their vision for the property included extensive renovations of the retail podium, a fresh, upgraded look and feel for residential public areas and upgrades to individual apartments. 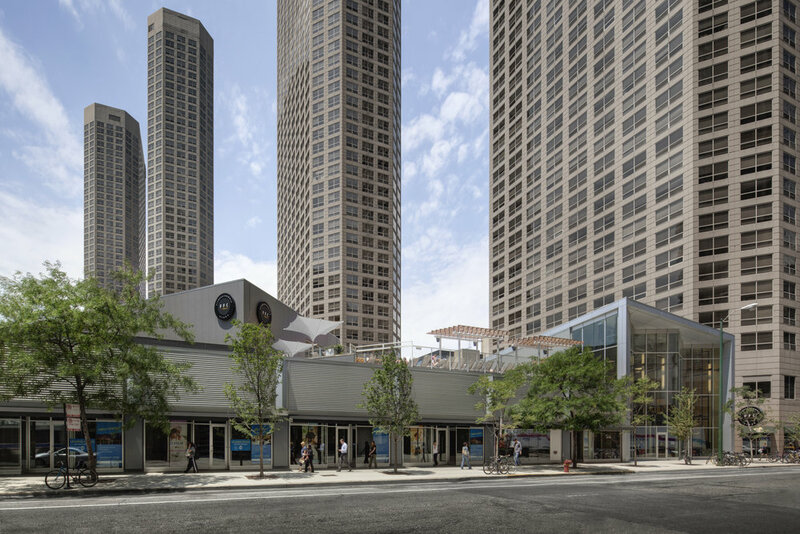 Valerio Dewalt Train transformed a loading dock facing Clinton Street into a two-story glass pavilion, significantly enlarging the entrance to the fitness club. 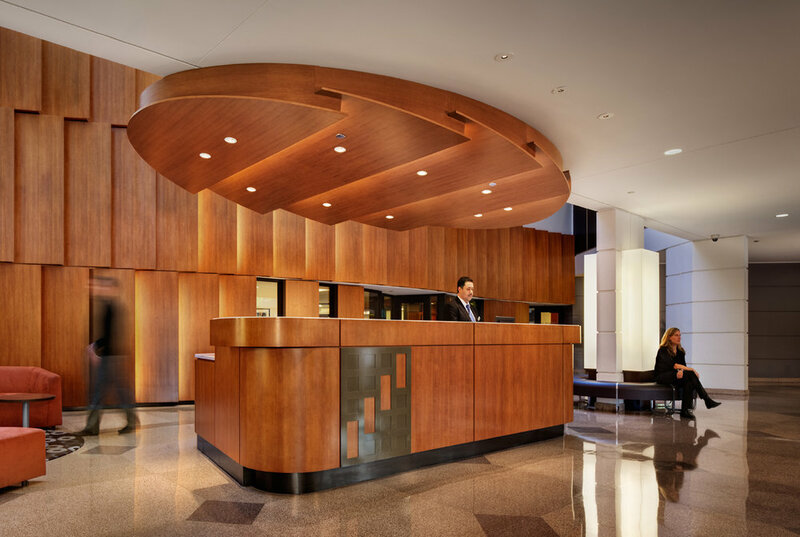 A new desk and vertical skylit lobby with a sculptural wood wall with windows welcomes residents and visitors. New seating areas provide residents with the option to meet outside the apartments - in the lobby or next to the fireplace.